What Is The Cost Of An Accelerated Nursing Degree? The cost of an accelerated nursing degree program depends on several factors, from where the school is located relative to your home state to how long the program takes to complete. 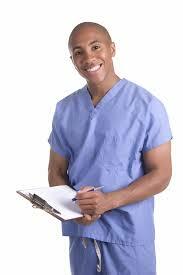 Many colleges and universities offer accelerated nursing degree programs. These in-demand programs are condensed and typically run less than two years long. After successfully completing an accelerated nursing program, students can sit for the NCLEX-RN exam in order to practice as registered nurses in a variety of health care settings. The tuition prices vary greatly from school to school. Programs offered through public state schools are often cheaper than programs at private schools. The length of the program also affects the price. For example, a 12 month accelerated program at a public school will likely be cheaper than a 18 month accelerated program at another public school, because less time is spent in the classroom and clinicals. Some schools require a tuition increase if you are an out-of-state student. In-state students attending the accelerated nursing program at Rutgers University in New Jersey pay $31,764.68 for tuition and fees, while out-of-state students must pay an additional tuition fee of $10,478.00. In addition to tuition costs, students are responsible for paying for expenses such as housing, books, transportation to clinical sites, scrubs and uniforms, supplies such as stethoscopes and blood pressure cuffs, tablets or laptops and health insurance coverage. These expenses vary by institution. Although it may be possible to work a few shifts here and there, most accelerated nursing degree programs suggest that students do not work due to the strenuous classroom and clinical schedule. Thus, students must find other way to pay for their program’s expenses. Students can be considered to receive federal loans to help cover the costs of an accelerated nursing degree, depending on if they have maxed out on undergraduate loans during their first degree or not. Some hospitals have agreements with nursing schools to help students pay for the cost of an accelerated nursing degree. For example, Bellarmine University in Kentucky has an agreement with several nearby hospitals to help students pay for some of their tuition if the students agree to work for that hospital after graduating. Students must meet specific requirements to apply for these agreements, such as holding a minimum GPA or presenting letters of recommendation. Additionally, scholarships and grants for are available at some colleges and universities for students who meet certain income or academic requirements. In the event that federal loans, scholarships, grants or hospital assistance are not available, students can borrow private loans to cover tuition and educational expenses. If you are interested in going back to school to earn a degree in nursing, it is important to consider an accredited program that you can afford. The cost of an accelerated nursing degree varies depending on factors such as whether the school is public or private, whether you attend as an in or out-of-state student and what additional supplies are required.